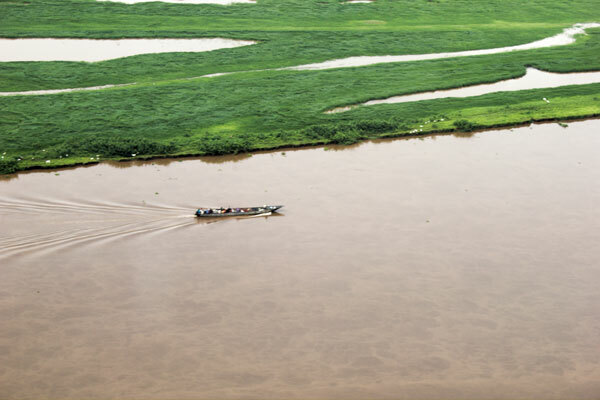 The long-term average annual flow of the White Nile measured at Malakal is about 31 BCM. This value is reduced to about 26 BCM at Mogren in Khartoum. Major changes between Malakal and Mogren are the abstractions for irrigation and the evaporation from the Gebel Awlia dam, which is estimated to be approximately 2.25 BCM per year.